Wikileaks founder Julian Assange has accused Google of making a deal with Hillary Clinton. 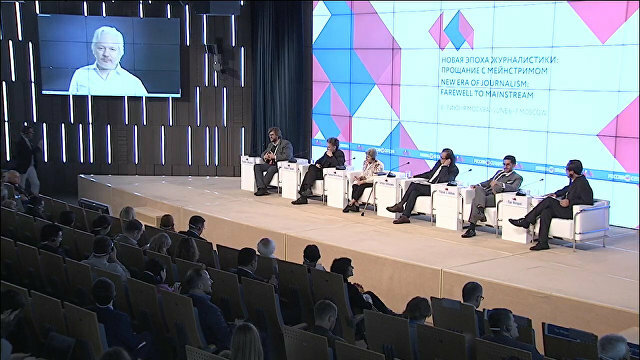 "Google is directly engaged with Hillary Clinton’s campaign," Assange said via video link at the international media forum "New Era of Journalism: Farewell to Mainstream" hosted by Rossiya Segodnya International Information Agency. "Google is heavily integrated with Washington power, at personal level and at business level… Google which has increasing control over the distribution channels… is intensely allying itself US exceptionalism," Assange added. Speaking about about Hillary Clinton as presumptive presidential nominee from the US Democrat party Assange said that she "seemingly" wants to start wars, WikiLeaks founder Julian Assange said Tuesday. "What we have with Clinton is someone who is a hawk but who has the tools of legal interventionism, a rhetorical cover to start the wars, and someone who seemingly wants to start them… From WikiLeaks’ perspective Hillary Clinton is a problem in terms of war and peace," Assange said. The United States is expected to elect its new president on November 8, 2016. Earlier in the day, Clinton, a former US senator, former first lady and former secretary of state, reached the number of Democratic delegates needed to secure the party’s nomination, according to media reports. The two-day media forum, timed to coincide with the 75th anniversary of establishment of the Soviet Information Bureau, which later evolved into Rossiya Segodnya, kicked off in Moscow on Monday. The event deals with the changing nature of contemporary journalism and is attended by media experts from over 30 countries. Russian President Vladimir Putin attended the event. 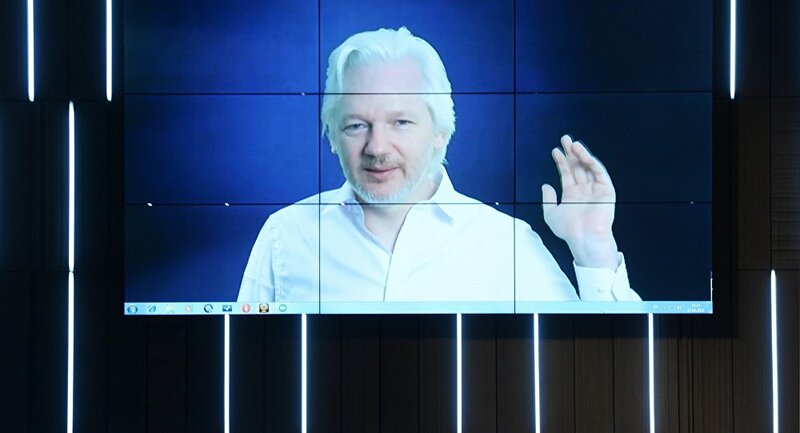 Assange spoke remotely via a video conference from the Ecuadorian Embassy in London, where he has been residing since August 2012.